I love discovering new ingredients to work with while exploring new and interesting flavors from the world. This recipe uses fermented black beans (mostly black soy beans). They are an iconic Chinese ingredient with an unusual flavor and aroma. Fermented black beans are normally soaked and mashed before they are added to any number of Chinese-style soups. 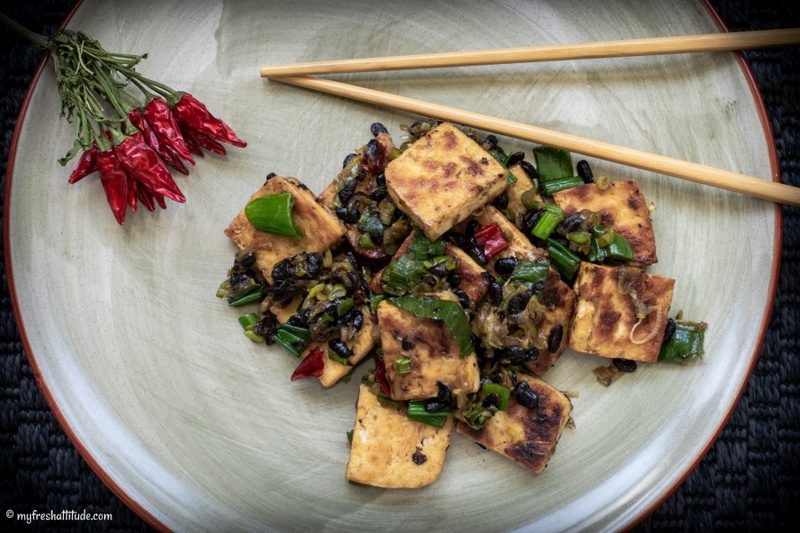 Personally, I prefer to soak them which removes some of the salt, leave then whole and mix with ginger, garlic and chili peppers…like I did to make this delicious salad with tofu and green onions.